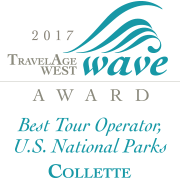 At Collette, we believe that travel is the global game-changer. It connects travelers to diverse cultures and benefits the communities that we visit. Our Impact Travel line offers the best of both worlds. Experience the must-see sights and explore the beauty of each destination - and also enjoy opportunities to volunteer and work alongside locals towards sustainable change. Discover the magic of giving and the welcoming nature of the people in a country that is overflowing with natural and cultural treasures. Experience lush rainforests, stunning waterfalls and endless coastlines in Costa Rica. On this special program, roll up your sleeves and give back to local communities. Our nonprofit, The Collette Foundation, celebrates ten years of global giving! Through our 1 Million Meals program, we hope to be a part of the solution to the global issue of hunger. Our volunteers gave over 5,000 hours last year to help the places where we work and the places where we travel.